Do you work for an organization with a Diversity program or initiatives worth bragging about? GBR SHRM is here to give you a boost to boast all about your diversity programs or initiatives. The Greater Baton Rouge Society for Human Resource Management will recognize outstanding company Diversity programs or initiatives within the Greater Baton Rouge area. Past award recipients include Blue Cross and Blue Shield of Louisana, Cox Communications, Baton Rouge General Medical Center and Louisiana State University. Individuals and businesses are asked to nominate their employer or a company with a reputation for an outstanding Diversity program or initiative. Please click here to submit your nomination online. Nominations are due by Monday, October 22, 2018. Nominations will be reviewed by the GBR SHRM Diversity Committee and the company selected will be announced at the GBR SHRM/ATD joint monthly meeting held Thursday, November 15, 2018 at Boudreaux's. GBR SHRM wants you to receive the recognition that is due. So, now is the time. 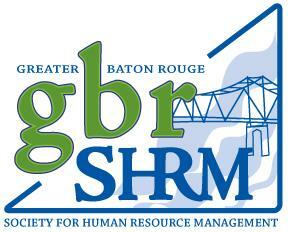 GBR SHRM is looking for companies of all sizes. Remember, there is no one-size fits all approach. Your Diversity program or initiative is an extension of your company, so we would love to hear your story as different as it may be. We would all benefit from having one more way to promote and recognize diversity.